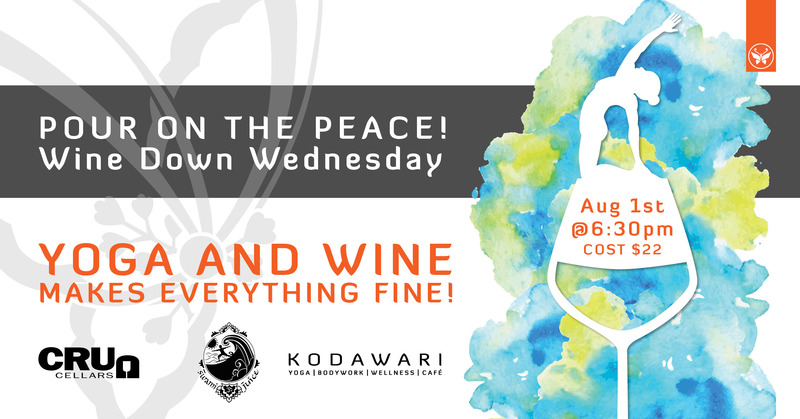 Join Annette at Armature Works for Wine Down Wednesdays. We’ll work out the weeks kinks with a little yoga followed by some soul soothing wine in our beautifully renovated historic Theatre space with wood truss loft ceilings, exposed beams and bricks. After class, swirl, sniff and sip a glass of wine from Cru Cellars or sample some Swami Juice joy! Bring your yoga mat, water bottle and towel.